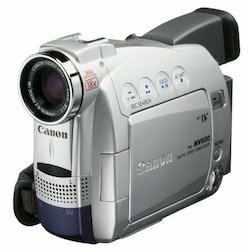 We transfer Camcorder tapes of most kinds. VHS-C, Video8, Hi8, Digi8, MiniDV (inc HD). Please mark each tape with the label you would like us to use and the number of copies required. ~ We are happy for you to supply a USB stick for this purpose (it would need to be a large size if there are hours of video- we would suggest 16GB ) - For this option, knock £2.00 off the standard transfer cost. ~ We can supply a good quality USB for this purpose (16GB) at an extra cost of £12.50 plus vat each. ~ We may be able to send the files using a file sharing program such as WeTransfer and we would need your email address for this option - We charge the standard charges per tape as shown above. If you prefer a more secure fully tracked parcel carrier please let is know. WE COPY AND TRANSFER THE DATA YOU GIVE US, PLEASE DO NOT EXPECT THAT MEDIA RECORDED MANY YEARS AGO WILL LOOK LIKE VIDEO OR SOUND RECORDED BY HIGH DEFINITION CAMERAS AND EQUIPMENT TODAY - THE DIFFERENCE IS CONSIDERABLE. WE DO NOT DIGITALLY REMASTER, RESTORE OR EDIT THE FOOTAGE IN ANY WAY, FOR THE PRICES QUOTED ABOVE. SHOULD YOU REQUIRE ANY REMASTERING OR EDITING PLEASE CALL TO DISCUSS YOUR REQUIREMENTS. IF THE MEDIA HAS BEEN DAMAGED IN SOME WAY THIS MAY NOT ALWAYS BE APPARENT, PLEASE REMEMBER THAT WE HAVE NO IDEA HOW THE VIDEO SHOULD LOOK OR SOUND. WE WILL TRY AND IDENTIFY THESE ISSUES, BUT THIS MAY NOT ALWAYS BE POSSIBLE! PLEASE ALWAYS LEAVE A CONTACT NUMBER AND WE WILL ALWAYS CONTACT YOU IF WE DO IDENTIFY ANY ISSUES BEFORE TRANSFERRING YOUR VIDEO. *TechnoVisual will supply the transfer services above in house, but there are certain tape taypes which we can not deal with because we don't have the correct facilities in-house. We will always let you know if this is the case. **All the above options are magnetic media, which could have been around for a very long time. Unfortunately this media is liable to degrade if it is not stored well, particularly if it comes in contact with moisture or has been stored near hi-fi speakers. If it is possible to take copies from your media we will, but we can not be held responsible if any damage has occured and the video does not play quite as expected, e.g. colour changes or glitches in sound or video. If the damage is obvious or the tape is blank, we will return the tape at no charge. If part of the tape is obviously damaged, we may call and speak to you first before going ahead with the transfer. 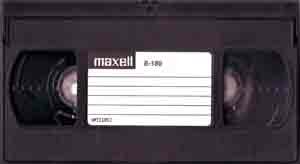 ***Even if there is only a small amount of video on your tape, we will still charge the prices above per tape. It often takes extra time to locate small lengths of video and then to edit the file to take out the blank areas. ALL CHARGES ABOVE ARE SUBJECT TO VAT.